This may seem obvious but you'd be surprised just how tiring a full day at the festival can be - let alone five days straight. The first screening of the day can start as early as 10.45am, with the last screening sometimes as late as 11.15pm. Furthermore, when you include travel time, that's a long ole' day. Another thing worth noting when you're getting ready in the morning is that you allow plenty of time to wash yourself - there's nothing worse then being stuck in assigned seats next to a rather fragrant person all festival long. 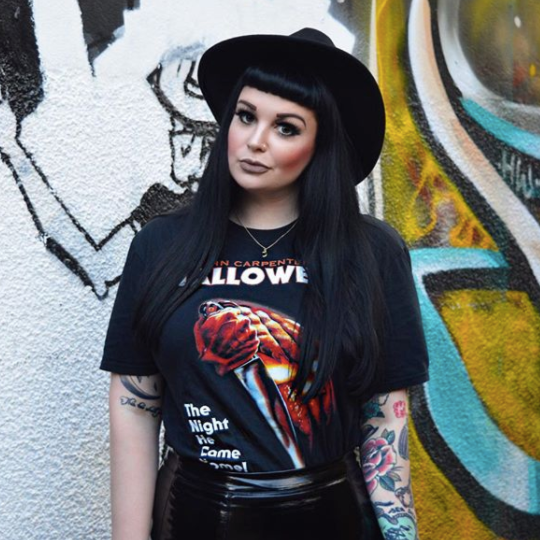 Regular attendees of FrightFest will know that the screen etiquette is particularly strict when it comes to these horror fans (and rightly so). Some of these FrightFesters have been every year since it began back in 2000; they've traveled from all over the country and sometimes even from overseas just to attend. So you can imagine why they've been known to be pretty vocal when someone is making too much noise or distracting others. Whilst I believe this should always be the case when you go to see any film at the cinema, at FrightFest it is not tolerated at all and the last thing you want is the whole screen booing you. Equally, however, one of my favourite things about the festival is that the crowd will often laugh, cheer and clap together and so it's a fantastic atmosphere to be apart of. Top tip: Be considerate of others and you'll be just fine. Whether you're a London local or coming from miles away, it's important to leave plenty of time before and in-between showings. The festival has plenty of stalls available to purchase merchandise as well as fun things dotted around to take photos with but make sure to plan your downtime wisely. Just like making too much noise, there's nothing worse than someone showing up late or half way through a film. Top tip: It's good to know the schedule times and research the film for the day before you go. There may also be one film that you don't plan on seeing that day so you could use this time as your lunch break or time to explore. Luckily, FrightFest has always been positioned at the heart of London restaurants and fast food joints, but if you're there for the full five days this can end up costing a bomb. As for cinema popcorn and snacks, that's not much better either. To avoid making noise or having to get up and leave during the film, always keep a (quiet) drink with you and take along some (cold/non-smelly) food you can eat between screenings. Alternatively, if you can eat outside of the festival - I'd strongly recommend this to avoid queues and cinema snack costs. This will also help you keep your strength up throughout the long (but totally worth it) days. Make sure you're back in plenty of time for your next film though. Top tip: A good way of spotting a FrightFest veteran is looking out for Tupperware and flasks - now that's planning at it's best. There's nothing worse than that one person who has hundreds of bags with them when you're trying to get down an aisle. Worst of all is that one person who's been to Primark during the lunch break and has those giant, rustling paper bags. If possible, try to pack as little as you can. Remember, you'll be carrying it round all day long. Unlike the Tupperware packers, I like to take only the essentials - my phone, portable phone charger (the ultimate life saver), debit card, camera, a bottle of water, a chocolate bar, my glasses (handy for seeing the film), and one or two makeup products. I'm not a monster, after all.Top tip:If you plan on purchasing merchandise at the festival, take one sensibly sized bag to minimalise the amount you have to carry. If you're lucky enough to have a full festival or day pass, you can ignore this one. Every year I spot people who have turned up to see one or two of the films, only for it to be sold out or panicking because the queue is so long. Remember, people come from all over to visit the festival and so it's always best to book your single tickets online before hand. If you do have a festival pass or day ticket, make sure you leave plenty of time before your first screening to collect your laminate. With the new, larger location though this could all be a thing of the past. Here's hoping! Top tip: Single tickets can be purchased before the festival. Buy tickets here. One of the things I love about FrightFest is some of the trashy, unadulterated B-Movie horrors. I've seen some of my favourite ever films at the festival but I've also seen some of the worst. The joys of being a film blogger, right? Whilst the lower budget films can be a bit of a turn-off to some more serious horror fans, the best way to enjoy these slightly more cheesy titles is to simply take them with a pinch of salt and enjoy them for what they are. There's nothing wrong with a bit of dodgy homemade gore, terrible CGI and unexplained narrative every now and then. Better yet, by comparison, it makes the truly good films look all the more fantastic. Well that's it for my beginner's guide to FrightFest. Here's to another exciting festival ahead - perhaps I can even look forward to seeing some of you there. 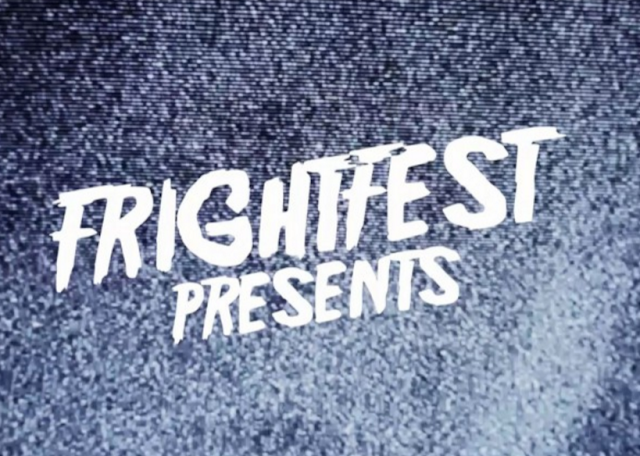 Have you ever been to FrightFest or film festival? What are your top tips for surviving long days out? As always, I love reading your comments and so please do leave me lots of lovely ones below. Don't forget you can also check out some of my favourite past FrightFest films you can watch online here. One thing I'd add - personal hygiene! When you're spending that much time in such close quarters you really can't be skipping showers and deodorant! Face your fears and all, right? Some of your advice works well for general viewing (not just for a festival) :) Since this post is horror themed, I hope this is a good place to ask you what you thought of M. Night Shyamalan's The Visit (2015). I watched that recently and although there are some plot problems (I won't call them plot holes), I really enjoyed it. Awesome tips Sophie :-) I would have never known about booking in advance so knowing that is invaluable. I'll definitely be referring back to these points when I go to a film festival - I still can't believe I haven't been to one, haha!